As we all know, October 31st is All Hallows Eve, popularly known as Halloween. It's a night when some of you will dress up in your favourite fear-inducing garb and haunt the town, others will dress up as well but instead go to screenings of The Rocky Horror Picture Show, and others still will stay home and watch Ernest Scared Stupid. It's also a month during which you'll be able to visit Nintendo Life and check out reviews of spooky Wii, DS and, mostly, retro games every Friday and Saturday. 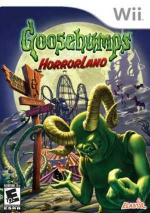 We'll also be bringing you a few fear-inducing features along the way. Which terrifying titles can you look forward to us evaluating? We'll never tell... but if you're feeling adventurous, you can periodically check the recently uploaded screen shots – if you dare! Sounds like fun! I'll be looking forward to it! 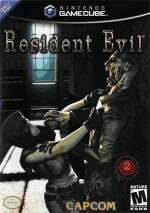 Resident Evil and Silent Hill all month long for me, hell yeah! A good month to finally finish Cursed Mountain. Ahh, if only there was a Rocky Horror game... then I could have centred the article around that... IMAGINE THE PUNS!!!! I love you guys, please review some lesser known horror titles. TIME WARP IS AMAZING Now I wish my iPod didn't break. I'd love to play the 360 with some time warp action going on. Don't worry Kimiko, we'll still bring you all the non-spooky stuff too. You don't have to pay attention to the spooky retro reviews if you don't want to. Superman 64 gets my vote for spooky game review! 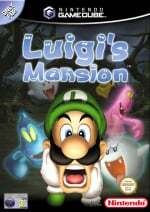 I bet they will put up the Castlevania games, those were spooky, especially the one on the Nintendo 64! Ah yes, Gothic month, my favorite month of them all. The only month where I can revel in tales of terror and torment without people thinking I'm weird.>:3 I should get a new Avy ready. Looks like it's back to masks for me. I'm being the Corbie Grim Reaper. I wonder if the moon from Majora's Mask will be featured? 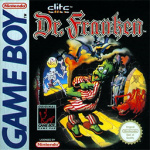 Or at least Dementium for the DS. i bet i know some of the games! "And as for your suggestions, I may incorporate them next year mayhap?" 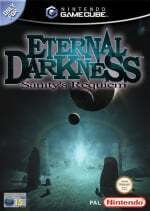 Can we have an article written by Giygas and with Lavendar Town music playing in the backround? That would be beyond creepy. 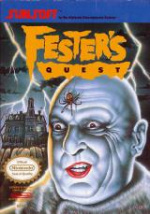 I saw Fester's Quest on the Games list in the Retro section so I have a feeling it'll get a review. It would be awesome if someone would make something like it though. Anyway, thank you so much for mentioning Ernest Scared Stupid! That movie may be the reason I love milk so much today. @WaveBoy I'm glad to see that I'm not the only one who remembers that movie. @Robo-goose You're welcome - similarly, that movie's the reason I love miak so much. 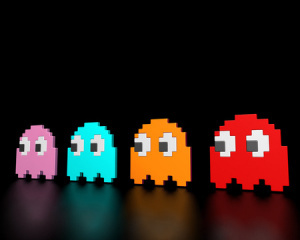 I'll admit it, I laughed at the Pac-Man ghosts! Pretty scary unless you have a power pellet! Waka-waka! I better get the VHS player ready for Earnest Scared Stupid. How do we know that those are ghosts and not just upside-down fire flowers with eyes? @Kid_A That's how they getcha! You wanna know whats scary? The 3DS $300 price point is scary!! :-! Dracula is just an over eccentric emo guy, who loves acrylic teeth, bats, & long black capes. But my malfunctioning system is scarier still. I bet you are going to review "E.T. the Extraterrestrial" and give it a 10/10. Now THAT would scare me! What I'll do is watch 28 Days Later or the Shining, then go out to a concert as a plumber dressed in blue and green.